Join us for our spine chilling treasure hunt challenge around the London Dungeon on Halloween and you could win a prize. But, will it be a trick or treat? It’s up to you……. We will tweet a question that will give you a clue where we are in the London Dungeon. Be quick – you’ll only have a set amount of time to tweet your answer. When the window closes we will pick one winner from a list of all the correctly tweeted answers. If you are chosen to take part in the Trick or Treat challenge we will give you the chance to choose the pumpkin on the left or the pumpkin on the right. The two pumpkins either have a Trick or Treat symbol on the reverse. If you choose Treat you will win one of the following prizes: Hamper of beauty products worth £40 courtesy of MeMeMe cosmetics, Lazy nails vouchers worth £50, fake tanning kits worth £60 from Skinny Tan, a hamper of Palmers body creams and lotions worth £30, one Trevor Sorbie Magnetic Multi-Wand worth £69.99 and one prize of your choice of a tempting treat from Sent with a loving kiss worth £40. The competition will run from 12pm until 1pm on Thursday 31 October 2013. There are 6 prizes up for grabs in total. Winners will be picked at random from a correct entry pool of tweets recieved during each stage of the competition. You will be required to follow @WomansOwn as we will notify winners by direct mail. The winner will be responsible for picking a Trick or Treat prize. The treat prizes wil be allocated at random. The treat prizes are as follows: Hamper of beauty products worth £40 courtesy of MeMeMe cosmetics, Lazy nails vouchers worth £50, fake tanning kits worth £60 from Skinny Tan, a hamper of Palmers body creams and lotions worth £30, Sent with a Loving Kiss chocolates worth £40 and one MeMeMe Natural beauty bundle worth £45. 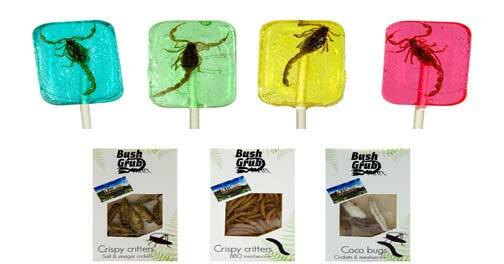 The trick prizes are as follows: A complete Bushtucker Trial pack and a bug-infested chocolate bar. No negotation will be entered into. Prizes must be accepted as recieved. Standard IPC terms and conditions apply. 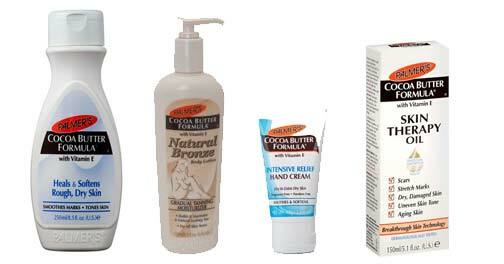 Containing coca butter formula body cream, intensive relief hand cream, natural bronze body lotion and more. The lucky winner will be able to spend their prize on a selection of Lazy Nail products, which include nail wraps and UV Led gel nail polish. Visit the Lazy Nails website to see the full ranges. Chocoholics, you won’t want to miss this! One lucky winner will get the chance to choose 2 deliciously tempting chocolate treats from Sent With A Loving Kiss, worth up to £21.99 each! Visit their website to view their chocolately collections. Not only does it give you a golden glow, it also helps beat cellulite leaving smoother skin. We’re offering both seven-day and gradual tanning kits, as well as a handy application mitt, worth £60. For more information, visit their website.